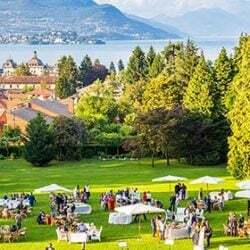 As wedding coordinator on Lake Como I would like to give you some tips for some lovely weddings on this areas. 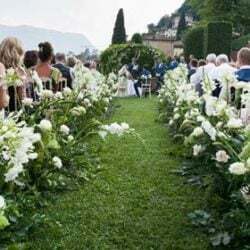 With this post I would love to give you some suggestions if you may consider a catholic Wedding ceremony on Lake Como. We receive everyday many requests and questions about the possibility of having a religious, catholic ceremony in Lake Como Churches. The answer is YES, but only in few of them. 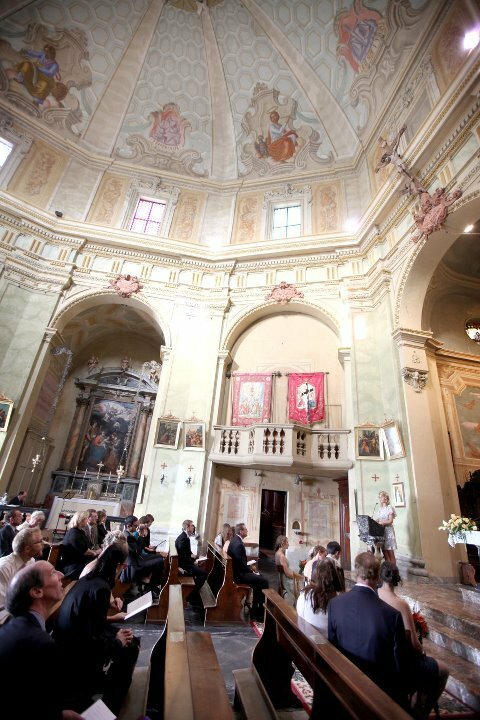 Destination weddings couples can get married only in two Churches on Lake Como. Both Churches are located in Varenna. 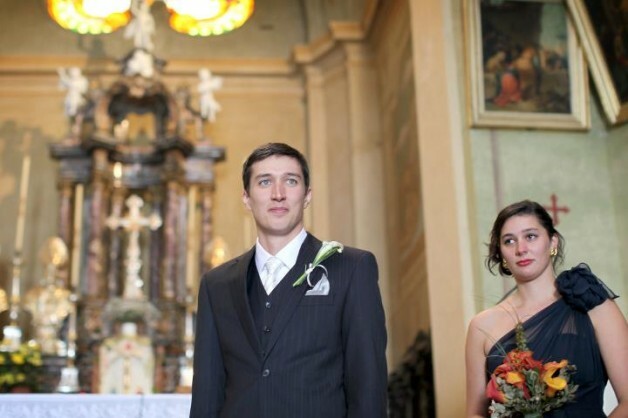 estination weddings couples can get married only in two Churches on Lake Como. Both Churches are located in Varenna. 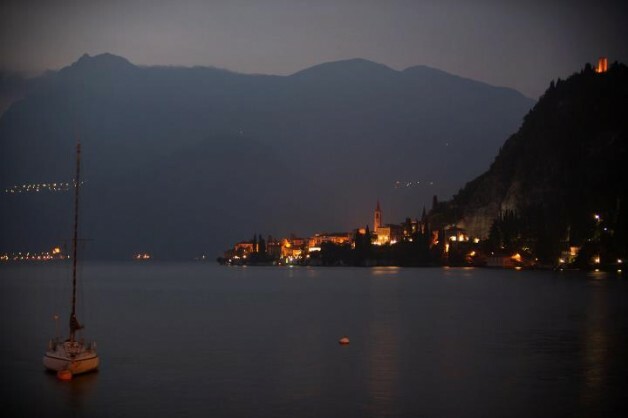 The reason of this difference between Varenna rules and other Lake Como towns is simple: town of Varenna and its Church belongs to Diocese of Milan. Milan is a big and modern city and it is more flexible from a religious paperwork point of view! All the other Churches located on Lake Como belong to Diocese of Como where only residents can get married to. This is also valid for religious blessing – they can be symbolic only. Anyway for blessings (symbolic ceremony, not registered) there is an exception though! Side of the two churches in Varenna we mentioned I can add and suggest you a third option. It is located not far Tremezzo… but we’ll talk about this option in one of my next posts! 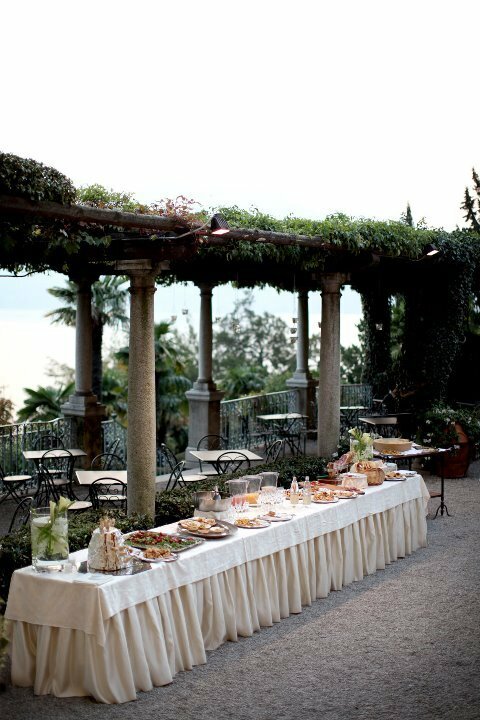 ake Como is one of the most enchanting place in Italy and one of the most chic wedding location on Northern Italy. 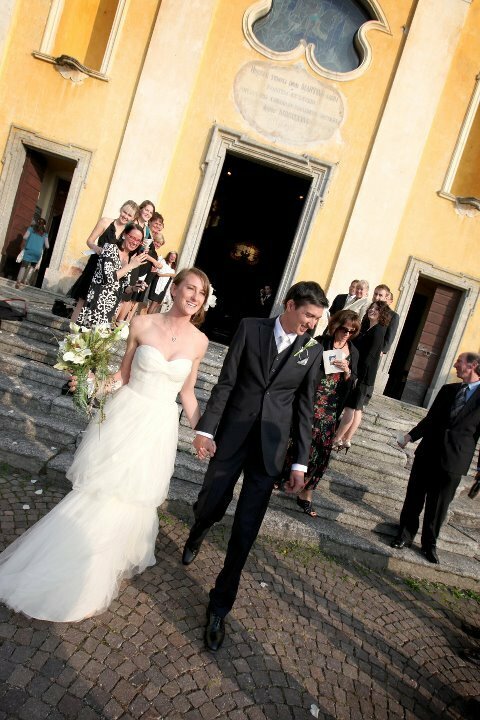 Emily and Richard fell in love with one of the churches in Varenna at first sight. Between the Churches I mentioned, they chose the most panoramic one, which is located up on the Varenna hills with a stunning lake view. 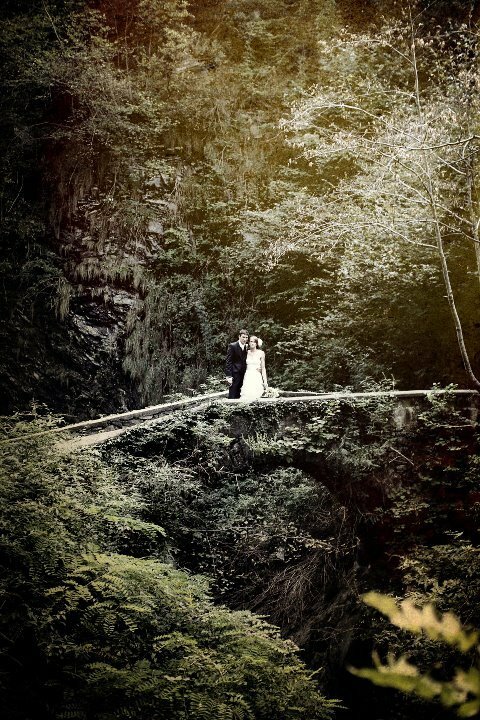 What an amazing set for your wedding pictures! Ceremony was performed by local Priest who speaks perfect English and can perform also a full wedding mass. Emily wore a romantic wedding dress and we chose together a vintage style bouquet. It perfectly matched her dress and with ambiance all around her. Richard was so elegant in his classic suit. He was also very nervous while waiting for Emily walking down the aisle! Simple and intimate ceremony went so smoothly. This wonderful church in Varenna is incredibly beautiful and Lake Como landscape is amazing! 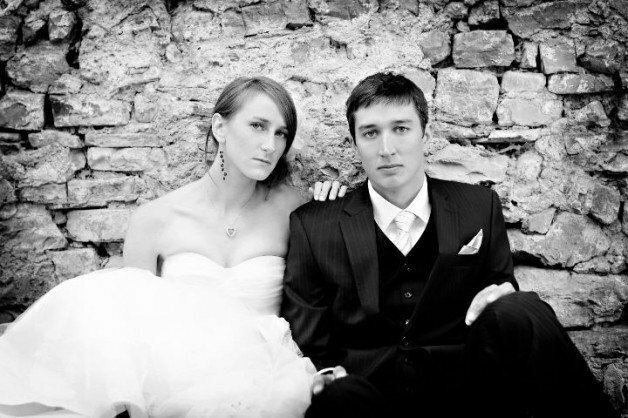 Photo session spots and venues need to be carefully selected before making any decisions. Lake Como is huge and the distances might be really relevant. Guests do not necessary need to join the photo session: some team pictures can be taken right after the ceremony and afterward leave your guests go for the wedding cocktail experience! 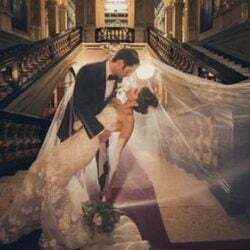 Don’t underestimate the wedding pictures: this is a memory forever and taking at least one hour for this is something you have to do! An now…. 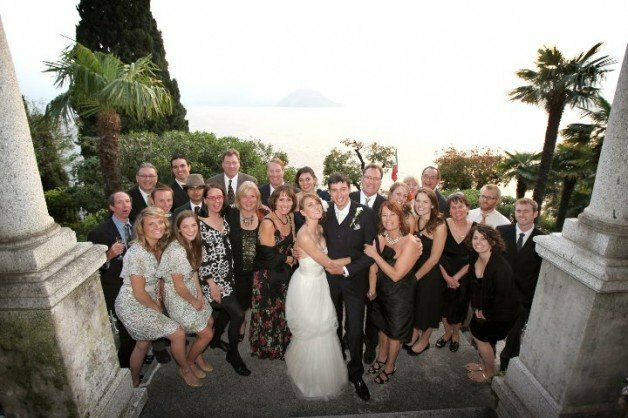 back to Emily and Richard wedding and to their photo session on Lake Como! The church in Varenna is located on the hills in the middle of an ancient village, not far from a natural environment and not far from an ancient medieval Castle: Vezio Castle. These places and spots were the first set for Emily and Richard’s photo session. Here you can see some wonderful shots taken by amazing and experienced photographer Andrew Vick. 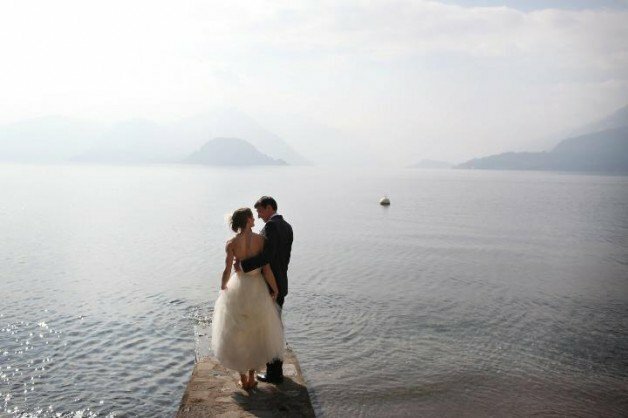 Enjoy these stunning Lake Como wedding pictures! econd part of Emily and Richard’s photo session was taken in main centre of Varenna Village, directly on the shores. Marring abroad means trying to experience all you can. Italy and Lake Como could be the perfect destination!! Sometimes following the photographer inspiration could be extremely important. I have the chance to see so many wedding pictures and those of Emily and Richard are particularly dear to me: thank you Andrew for your great job! 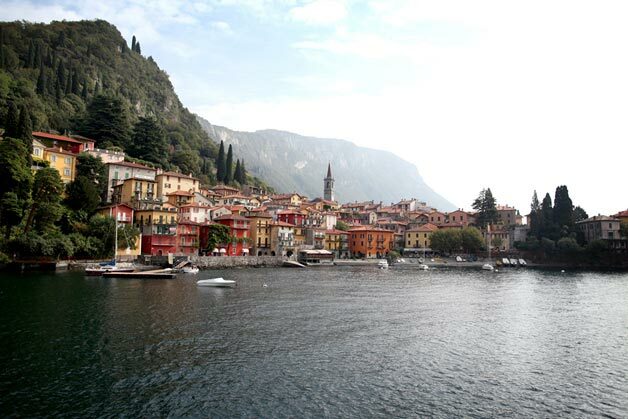 Varenna and Lake Como seem to be even more stunning from Andrew’s perspective. And I’m sure that our followers will love these too! nd after so many pictures… let’s party! Emily and Richard after about 1 hour photo session, joined the rest of the group made up by family and friends for a delicious cocktail, dinner and party. 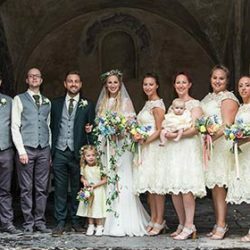 The Villa Emily and Richard chose for their wedding reception is located in the centre of Varenna village and it is still maintain its ancient charm and flavor. Architecture is simple, refined but not grand with a kind of ‘home feeling’. Main building completely faces the lake. Lake view is guaranteed even if indoor in case the weather is chilly or rainy. Wedding had a rich cocktail, a five courses dinner followed by a buffet of desserts and wedding cake. The food was really good and very well presented. 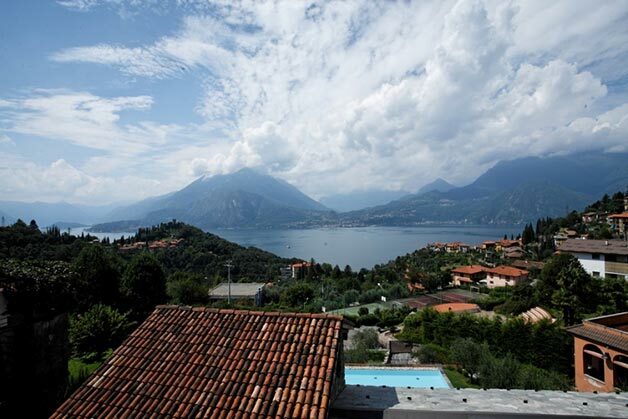 This amazing Villa in Varenna is available until Midnight but the party can continue at a walking distance venue-bar where music is allowed until later. 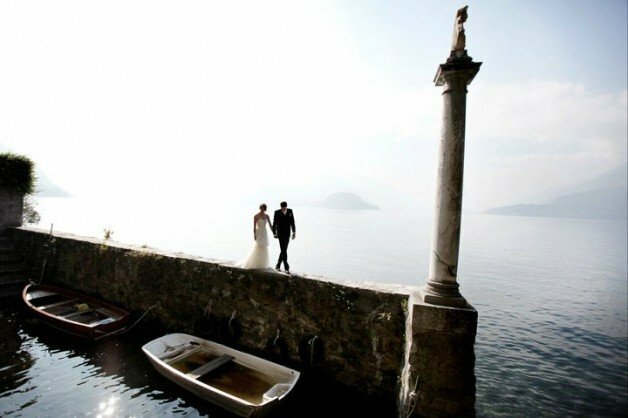 For any enquiry about Varenna venues don’t hesitate to contact Alessandra, the Lake Como wedding planner! 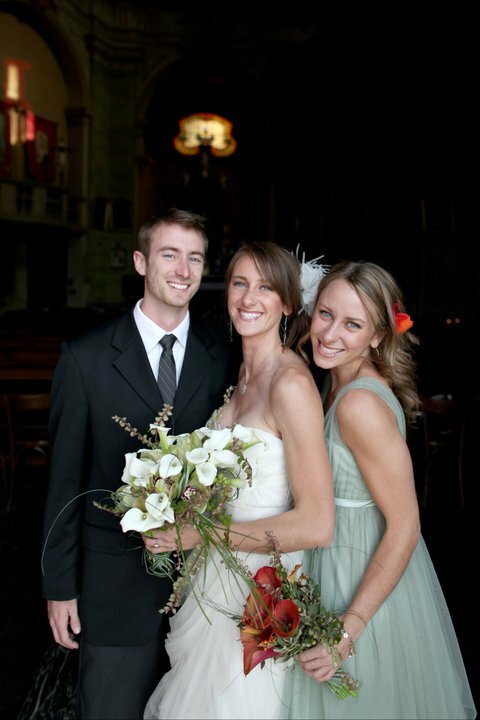 ccommodations for your guests is often one of the bride and groom main concern. Therefore I’m pleased to tell you a little bit more about it. Varenna is a small village, but given its beauty and fame, this Lake Como village offers a wide range of accommodations: apartments, B&B, hotels from 2 stars to 4 stars. 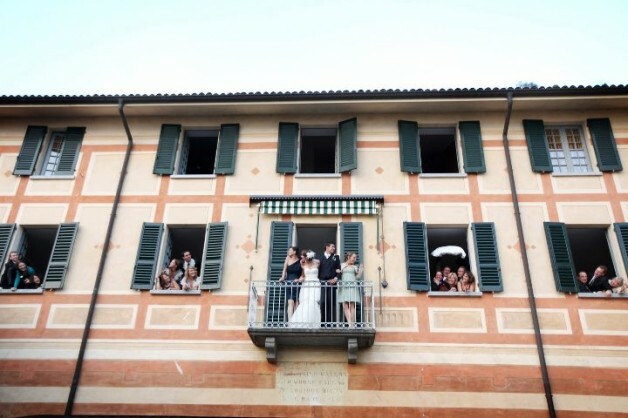 The Villa we described for Emily and Richard’s wedding has 30 rooms which can accommodate a wedding group. Although bookings need to be made far in advance: the venue is highly requested and when this is possible. If you I can recommend to book with at least 2 years notice. 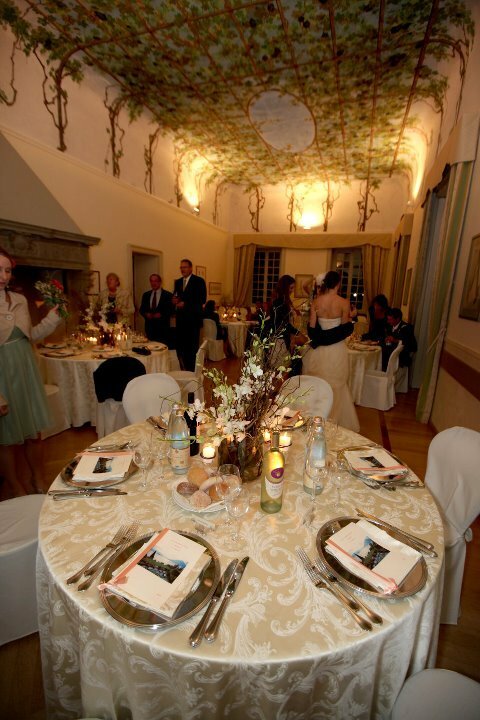 This is for both Varenna wedding venue and Varenna rooms – accommodations. However I will be happy to provide assistance also for last minute bookings! She is located in Milan and she has a deep knowledge of the territory. Alessandra makes each client feel unique and she treats each wedding as if it were her own. 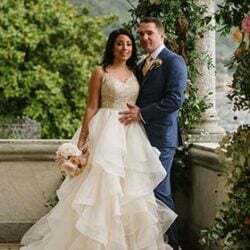 For any information about wedding at Villa D’Este on Lake Como please contact Alessandra Fabi – Lake Como wedding planner. ← Orta Beach Club Rocks! 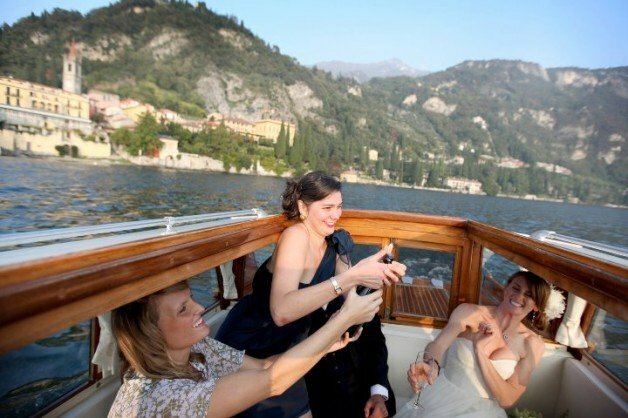 we would love to have a wedding in lake como. I would like prices for June 2016.
guests will be around 20 people. Would like a church wedding as I am Italian but British born. I would like to stay around Lezzeno. We stayed in hotel called Hotel Villa Aurora and would like something along these lines unless there is something else available. We have a budget of £5,0000 to £7,000GBP. -accommodation for 15 to 20 people for 4 days. For the bride and groom we would like 6 days stay. Hi Daniela I am also looking for something similar in budget and number of people in Lake Como. Did you get a reply regarding a catholic ceremony from the organisers? Dear Maria, my name is Alessandra and I’m Lake Como coordinator. I’m sending you a private email with all info and details for a wedding in Varenna. 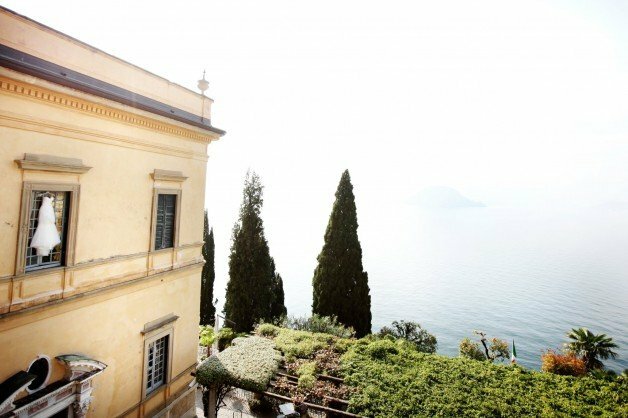 I am looking into a lake como wedding for July/August 2017, we have fallen in love with villa balbianello, 40 guests max, we are both Catholic and want a simple classy wedding with a beautiful view…. What are the two churches in Verena called that allow foreign couples marriage? 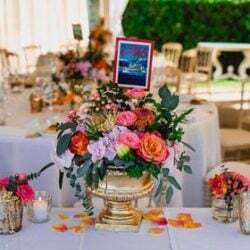 I am looking into a lake como a religious wedding for march 2017, we have fallen in love with lake como, 50-60 guests max, we are both Catholic, my future husband is english and myself italian, and we would like a simple classy and romantic wedding with a beautiful view…. My husband and I would like to celebrate and renew our vows for our 25th wedding anniversary in May 2017 . We are both catholic and we love varenna. We are expecting a least 30 guests . Please help us have an idea how to start . Would love to be blessed in a church with the view of the lake and a wedding dinner venue with the view of the lake as well . Please help . Thank you. We are looking to elope somewhere on Lago di Como. We would like a small church with a catholic ceremony in the morning. We are both divorced. 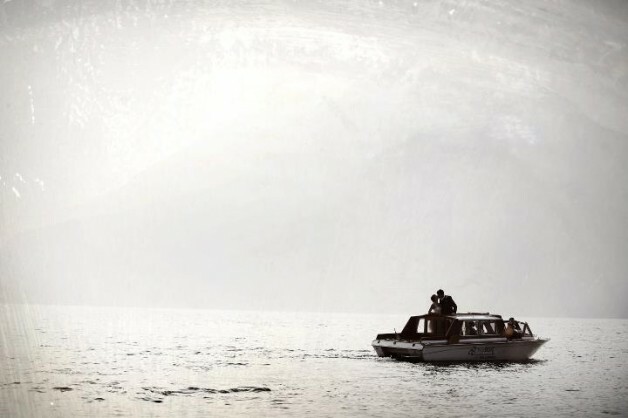 We would also like a water limo for most of the day. Pick us up at our hotel, bring us to the church then off to Villa Balbianello for a photo shoot with a local photographer and lunch, followed by the rest of the afternoon touring the lake with a photographer and finishing back at the hotel for dinner. Can you help us?